1) We can print customer's label and company name on the wine Opener. 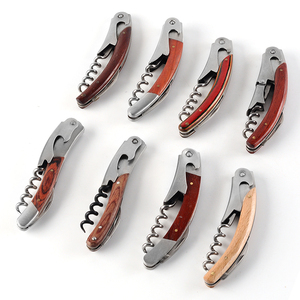 3 )We can provide multi colors wine opener for customer. 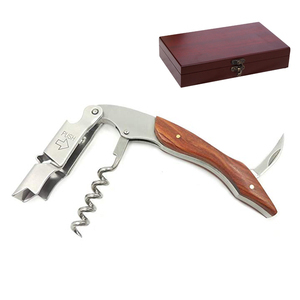 5) We can provide all the parts of wine opener for customer replacing. 7 YRS Dongguan BeneFit Commodity Co., Ltd.
8 YRS Yangjiang Jafon Hardware Co., Ltd.
7 We send mass product samples or send photos to customers for approval. 8 Customers confirm the mass production samples. 10 We show ready prod ucts' photos or customers inspect on site. 2 YRS Yangdong Yuxing Metal Product Co., Ltd.
1 YRS Yangjiang Jingchuan Industrial Co., Ltd.
3 YRS Shenzhen Miracleart Arts & Crafts Co., Ltd.
We have professional design team , support your custom made and brand model making . Our advantage Product progress : 1 Q: Could you accept Sample order9 A: Yes, as your request. Moreover, we have our exclusive designer team, including 20 year experienced foreign designer and inland designers. 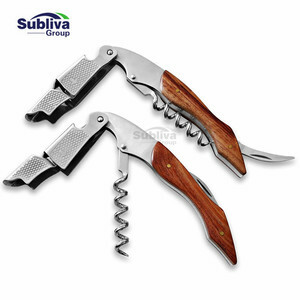 Alibaba.com offers 4,413 wooden wine opener products. About 62% of these are openers, 7% are bar accessories. 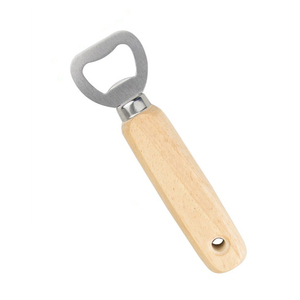 A wide variety of wooden wine opener options are available to you, such as free samples, paid samples. 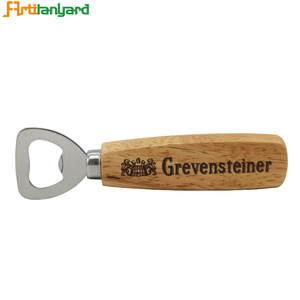 There are 4,413 wooden wine opener suppliers, mainly located in Asia. 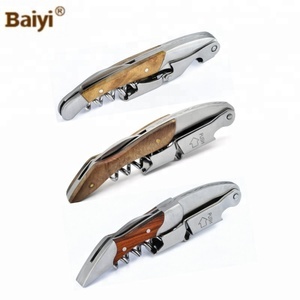 The top supplying country is China (Mainland), which supply 100% of wooden wine opener respectively. 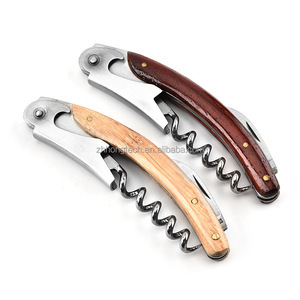 Wooden wine opener products are most popular in North America, Western Europe, and South America. You can ensure product safety by selecting from certified suppliers, including 416 with ISO9001, 142 with Other, and 71 with BSCI certification.